Hello, Thanks for dropping by to read some of my tales, I hope you are enjoying them and will continue to come back to read more. Meanwhile, you have clicked onto my ‘About’ page, which means you are looking for some info ‘About’ me. 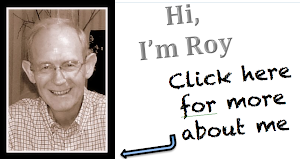 Well, my name’s Roy Romsey - end of story. For years friends have have been urging me to write down some of my stories - I have finally succumbed. I have an insatiably sense of curiosity – always questioning and being inquisitive about things - I should have been a cat. (my favourite animal). As a child, the idea that the world had so many different countries, peoples, foods, and customs was quite beyond my small-town comprehension. And so, at the age of 17 I ran away to sea on a 14 metre fishing boat to Portugal to discover the world for myself – see stories No 8 and No 9. Although travel is an important part of my life, it's the incidents en-route that makes it so enjoyable - my stories usually relate incidents encountered whilst travelling alone or with my wife Jean. An adventure is any unusual or perhaps exciting experience. For some it might be crossing a desert on a camel, but equally it could be be going on a blind date or missing the last bus home. Some adventures just happen and others are made to happen. The important thing it to always enjoy the experience and keep a sense of humour no matter what. I had my first big adventure at the age of three when I fell off a bridge into a river, the first of many waterborne escapades. Life had been a series of adventures. Between nomadic meanders, I enjoy d.i.y projects, working with wood. listening to traditional Jazz, photography, desktop publishing, browsing the internet for information and watching TED Talks. I'm a firm believer that the 'road of life' is lined with doors of opportunity just waiting to be opened. It is important to always remain positive and to keep an open mind. Having recently recovered from the big ‘C’ I can’t wait to get back on the road again. In the meantime, I've made good use of my enforced vacation, by writing up my short stories and helping others to collate their memoirs. Leave me a comment - it might encourage me to write more. Your comments are welcome, they will help decide the type and style of writing. Receive each NEW STORY by email. 'I always take the road less travelled no matter where it goes.' anon. “Tourists don’t know where they’ve been, travelers don’t know where they’re going.” – Paul Theroux. No matter how how far you travel, you are never more than half way from home. Anon. We ate, we drank, and were merry. We had typhoid, cholera and dysentery. Top Hat - The London musical This show has got to be the all-round winner for the best 'Feel-good factor' show in London today. Stunning stage sets, fabulous lighting, The lead dancer, Gavin Lee, is the reincarnation of Fred Astair, both in looks and dancing skills. A magnificent once-in-a-life-time musical not to be missed - at the Aldwych Theatre London. Les Miserable - Enjoyed the stage version, but was blown away by the film, particularly by the up-close face-following camera techniques used. I must see it again. Wonderful. ... my wife Jean for her patience and frequent prodding to put pen to paper, to all those around the world who were once strangers and are now friends for their help and hospitality and to copy/editor Sue Shade for keeping my scribblings on track. No 13 - Ooh! La! La! Whilst about 90% of photographs and illustrations on this site belong to Roy Romsey, the other 10% have been found on the internet and where possible permission has been requested and granted - my thanks and appreciation to them. However my apologies go to those copyright holders whom I have not been able to track down. Whoever you are - thanks guys and gals. ©Copyright 2013 Roy Romsey. Awesome Inc. theme. Powered by Blogger.